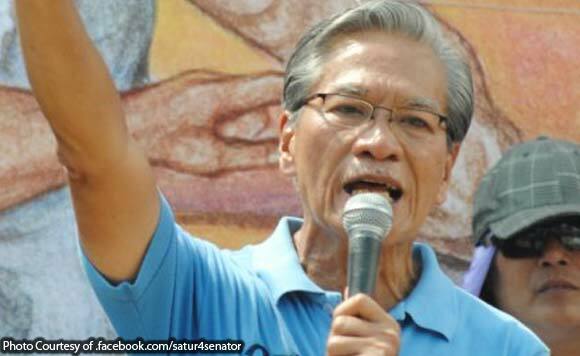 DAVAO CITY — Former Bayan Muna Rep. Satur Ocampo and 17 others are no longer welcome in Talaingod municipality after local officials declared them “persona non grata” following last year’s incident involving the alleged trafficking of tribal students. A resolution unanimously approved by the Talaingod Municipal Council on January 14 cited the November 2018 incident when Ocampo and his companions were arrested for bringing with them 14 minors without travel permits and, in some cases, without the knowledge of the children’s parents. The local officials also expressed the sentiments of the Ata Manobo tribal leaders, who earlier condemned Ocampo and his companions for violating the rights of the tribe and the alleged intrusion of the New People’s Army (NPA) into tribal lands. Ocampo’s 17 companions who were also declared “persona non grata” are France Castro, Meggie Nolasco, Pastor Edgar Ugal, Rev. Ryan C Magpayo, Pastor Eller A. Ordeza, Rev Jurie Jaime, Jesus Madamo, Maryro Poquita, Maria Conception Ibarra, Jenveive Pabara, Merhay Talledo, Maricel Andagkit, Marcial Rendon, Ariel Ansan, Mariane Aga, Nerfa Awing, and Wingwing Daunsay. Aside from trafficking charges, Ocampo and his colleagues are facing child abuse and kidnapping cases. The town’s tribal leaders have also accused Ocampo of failure to seek a Free, Prior and Informed Consent (FPIC) before entering into the tribe’s ancestral domain.